The combination of marriage and fatherhood put Jimmie Vaughan’s recording career on hold for a while. After a nine-year break, however, he recently completed his latest solo set Plays Blues, Ballads & Favorites. The outing, which will be issued on July 6, marks Vaughan’s debut for Shout! Factory. While crafting Plays Blues, Ballads & Favorites, Vaughan used the approach that has served him well throughout his career. The result is a collection of cover tunes that, from Willie Nelson’s Funny How Time Slips Away to Roy Milton’s R.M. Blues, meticulously recalls an age that has long been forgotten. Lou Ann Barton makes a guest appearance on the endeavor, joining Vaughan for a duet on I’m Leaving It Up to You. The pair shares a long history of cross-collaborations. As a result, they likely will unite numerous times over the course of their performance on June 24 at Buddy Guy’s Legends in Chicago. After everything that he has accomplished, it is somewhat surprising that Sonny Landreth continues to be relegated to performing in remarkably intimate establishments. Long considered a musician’s musician, Landreth has gone out of his way of late in his attempts to broaden his audience. Beginning with Levee Town in 2000, he began to narrow and refine the focus of his writing style. Yet, instead of sounding like he has been making concessions to his craft, Landreth has been sculpting some of the finest albums of his career. His 2008 endeavor From the Reach is his best effort to date. Although it features an onslaught of special guests, its music never feels forced into place. The result is an emotionally pure collection of songs that take aim at the politics of governance and the heart. Landreth’s latest trek through town will bring him to FitzGerald’s in Berwyn on June 24 and Evanston’s S.P.A.C.E. on June 25. Six years ago, Eric Clapton staged a star-studded concert in Dallas, Texas in order to raise funds for the rehabilitation center he founded in Antigua. Dubbed the Crossroads Guitar Festival, the event was moved to Chicago’s Toyota Park in 2007. The third incarnation of the musical showcase not only is being held on the same site as the 2007 extravaganza, but it also serves as the impetus for bringing Jimmy Vaughan and Sonny Landreth to town. They will join an array of high-profile acts — including Jeff Beck, B.B. King, the Allman Brothers Band, Steve Winwood, Sheryl Crow, Buddy Guy, Vince Gill, and John Mayer — for a full-day celebration that is certain to be filled with an enormous amount of guitar pyrotechnics. As always, there will be plenty of collaborative moments scattered over the course of the show, and perhaps a special guest or two will drop by as well. Unlucky fans who haven’t yet secured a ticket, however, will have to settle for the inevitable release of the performance on DVD. Guitarist John Kadlecik had been auditioning for the role of Jerry Garcia for a long time when he got the call to join the Grateful Dead’s Bob Weir and Phil Lesh in Furthur. His departure from Dark Star Orchestra, however, left a gaping hole in the outfit’s sound. A quick call to fellow traveler Jeff Mattson quickly resolved the situation. As a member of The Zen Tricksters, Mattson became quite acquainted with the Grateful Dead’s free-ranging approach as well as its repertoire, which allowed him to fit seamlessly into the framework of Dark Star Orchestra’s jam-heavy approach. 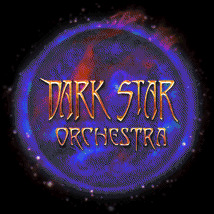 On any given night, Dark Star Orchestra will either choose to recreate a concert from the annals of Grateful Dead history or string together the band’s material to form an original set list. Either way, the experience has been hailed by Dark Star Orchestra’s devoted followers as a remarkably close approximation of the Grateful Dead’s magical formula. Dark Star Orchestra will perform at Chicago’s Park West on June 27 and on the Briggs & Stratton Stage at Milwaukee’s Summerfest on June 30.